Access control is a fundamental and critical aspect of security. Indeed, many of today's security breaches are a result of a breakdown in access control. 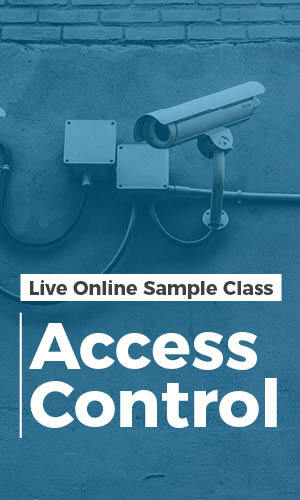 In this sample class we'll cover the definitions and principles of access control as well as the methodologies and technologies that control access to assets. These tools and technologies include access control models, authentication technologies, and encryption. To register, simply enter your name and email in the form, and instructions on how to watch the class recording will be sent to directly to your inbox.